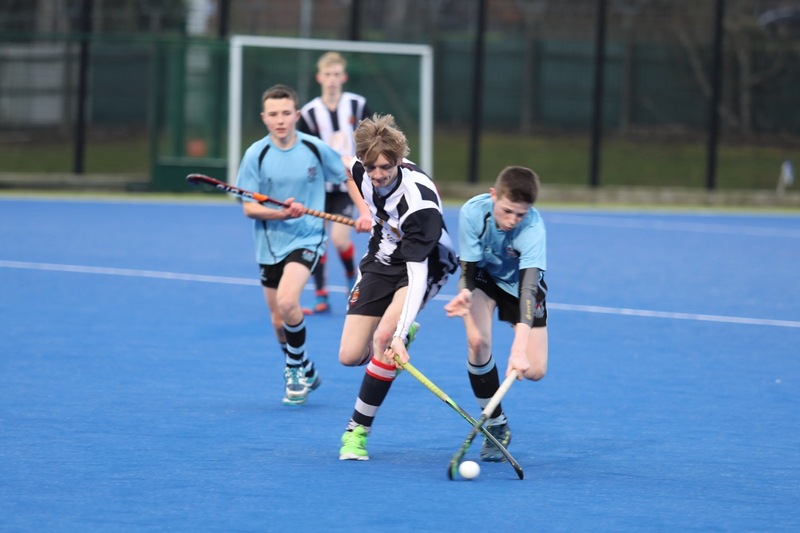 The Wallace High School boys’ hockey 2nd XI will play Antrim Grammar School 1st XI in the Prior Shield final next Wednesday (28th February) with a 3pm pass back on the water based pitch at Stormont. 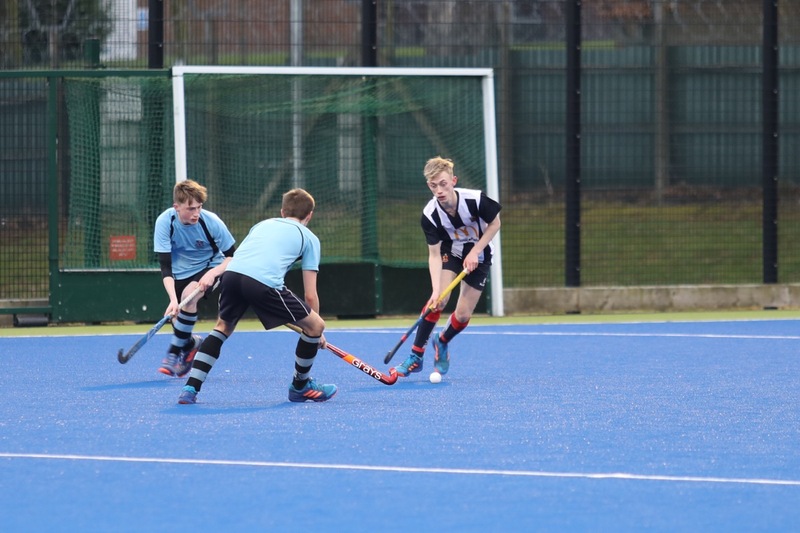 As ever, the Prior Shield started with group games in September and October with the Lisburn school defeating Friends’ 3rd XI 5 – 0 (Ben Clarke 3 and Thomas Burns 2, the scorers) and Methody 2nd XI 4 – 0 (Aaron Scott 3 and Ben Clarke). This set up a deciding group game away to Armagh Royal School 1st XI who in previous years have had the better of games between the two sides.However, this time, Wallace got off to a fast start which ultimately ended in a 5 – 2 victory. 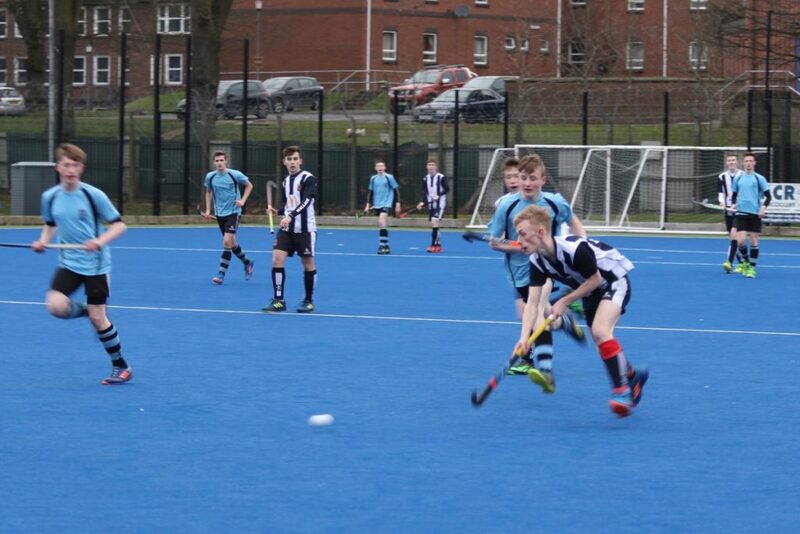 Year 14 pupil Aaron Scott again led the way with an excellent hat trick, with Dawson Cleland and Tim Curragh also on the score sheet. 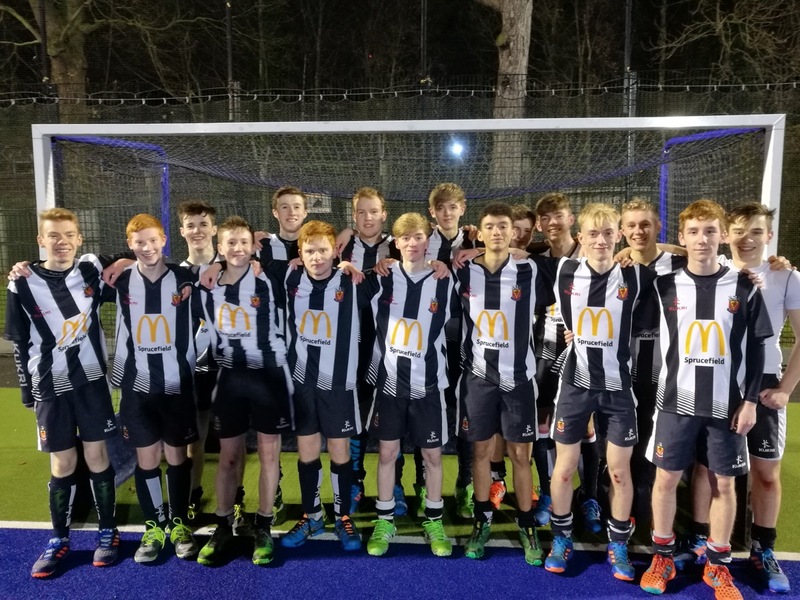 Early December saw the traditionally strong Banbridge Academy 2nd XI come to Wallace for the quarter- final which was played under floodlights in front of a sizeable crowd. This game turned out to be a very entertaining occasion with Wallace just shading the final result 3 – 2. The theme of goals from Aaron Scott and Ben Clarke was continued with Tim Curragh again also on target. 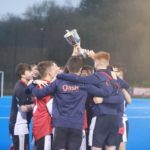 Due to the inclement weather towards Christmas, post- Christmas examinations and work experience, the semi- final at home to previous winners Portadown College 1st XI was delayed until early February where Wallace again enjoyed home advantage. 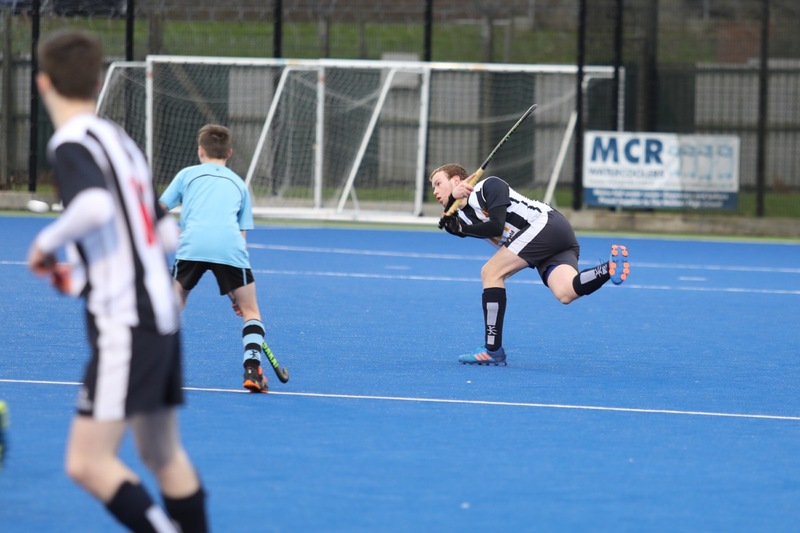 This was always going to be a tough encounter but again a fast start enabled Ben Clarke to put Wallace ahead, and when the same player scored again in the second half a 2 – 0 win was secured. Credit must also go to Year 12 goalkeeper Jack McBratney and the defence led by 2nd XI stalwarts Michael Jones and Andrew Graham who kept Portadown at bay despite consistent pressure. Attention now turns to this Wednesday where it really is impossible to call which school will win the trophy. Antrim have enjoyed an excellent season and also competed in the 2nd round of the Burney Cup recently. Wallace will again look to their key players and especially their Year 14 leaders in Michael Jones and Dawson Cleland (co-captains), Andrew Graham, Thomas Burns and Aaron Scott to guide their younger players through the game. 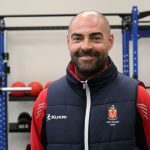 We wish our coach, Mr Neil Armstrong, and his players the very best of luck for the final as they endeavour to bring the Prior Shield back to Lisburn. 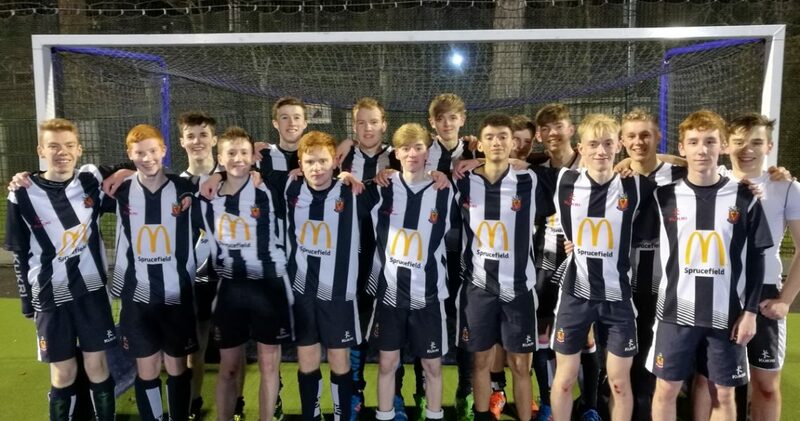 Michael Jones, Dawson Cleland, Jack McBratney, Thomas Burns, Ben Craig, Aaron Scott, Andrew Graham, Nathan Fairley, Alex Faulkner, Josh Snoddy, Johnny Chambers, Thomas Cherry, David Wallace, Zach Croskery, Adam Duff, Tim Curragh, Ben Clarke, Matthew Blair, Jack Campbell. 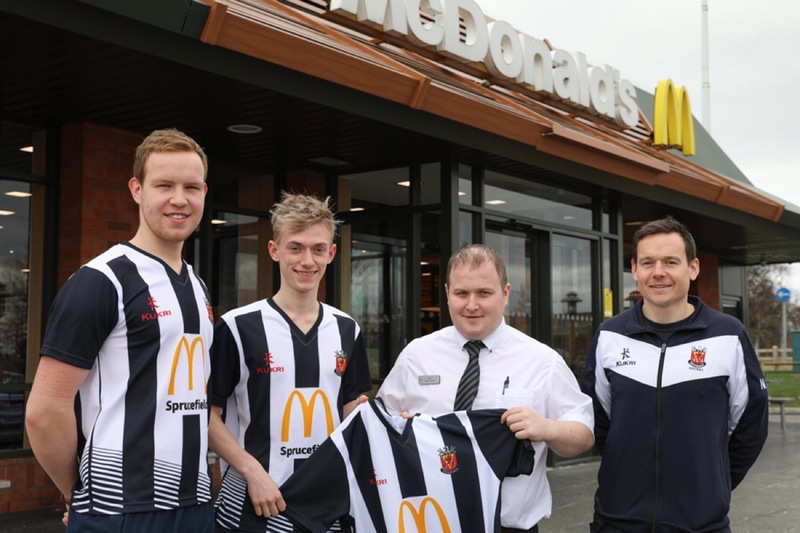 The squad would like to thanks McDonald’s Sprucefield for their sponsorship.